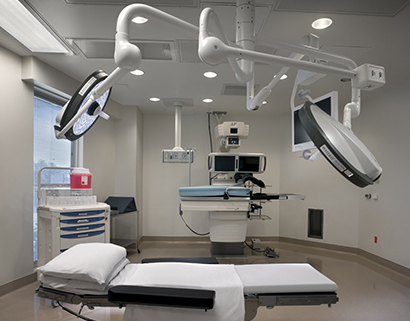 Healthcare architects and interior designers innovating through impassioned design to provide the best patient experience. We are Kirksey Healthcare — a team of health-minded design professionals who are passionate about creating healthy, patient-centered environments that encourage healing and streamline the caregiving experience for both patients and clinicians. The Healthcare landscape is complex and ever-changing as technology advances, and patients become more and more involved in their healing experience and outcomes. Our team understands how to successfully navigate and coordinate a strategic plan with a facility program and believes that success is measured by more than just managing the construction budget. We have shaped our practice around learning, innovation, efficacy, and unique client experiences. Designing to respond to the needs of patients and supporting positive outcomes through healing environments that reflect the combined knowledge of our clients, peer reviewed evidence, and collective understanding of best practices — these principles represent the foundation of our healthcare design focus. Led by David McLemore and Necia Bonner, our Healthcare Team has designed or master planned well over 5 million square feet of healthcare space and has embraced evidence-based design principles from the inception of our practice. Each project is planned and executed with consideration to our client’s business plan. We take the time to interview clients at the beginning of each project to evaluate their unique needs. With proven design concepts and ongoing research, we create solutions that support patient-centric desired outcomes. Healthcare architects leading the way with innovative design born from a passion for the patient experience.